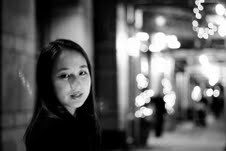 Born in 1996, Claire Lee is the National Student Poet for the Northeast region. She currently attends high school in New York City. The National Student Poets Program was launched by the President’s Committee on the Arts and the Humanities, the Institute of Museum and Library Services, and the nonprofit Alliance for Young Artists & Writers. The program is designed to elevate and highlight the work of young poets (grades 9-11) for a national audience. on April 17 at Lincoln Center. Bir önceki yazımız olan Tuzu Eksik Ölü başlıklı makalemizde adem özbay şiir, aşk ve sevgi üzerine ve deniz şiirleri hakkında bilgiler verilmektedir.